Had your fill of Toonami’s Weekly Lineup? Looking for More Anime? Here’s a few places to start looking! I’m at that age where I’m old enough to remember watching Gundam Wing, Dragonball and Sailor Moon in the early 1990s, Dragonball Z a few years later, Fullmetal Alchemist, Code geass and Death Note about twelve years ago and more recently, the likes of Soul Eater, Blue Exorcist, Fullmetal Alchemist Brotherhood and Bleach. What all of these Anime have in common is at one time or another they all aired on Cartoon Network and/or its anime block, Toonami. This should come as no surprise given I reviewed it in January. For those who are unfamiliar with it, it’s basically Netflix but just Anime and Korean Dramas. Like Netflix, programming is on demand but like Hulu, new episodes are made available right after they’ve aired on TV in Japan. Even though I’m a Dub Man and the Anime CR provides is all Subbed, no other provider comes close to the sheer volume of Anime they have to offer. Crunchyroll can be streamed through both Microsoft and Sony Consoles as well as the Vita, iOS/Android devices and of course, your computer’s browser. CR is 100% free to watch on your computer but if you want to stream it, it’ll cost you $7 a month which is a buck less than Netflix for prettymuch just Anime. The original content is easily worth the monthly subscription in my book. As the first streaming service I ever used and as much as I hate to admit it, Netflix has its usefulness in regards to Anime. While the streaming giant has been quietly making original content in recent months (Orange is the New Black and House of Cards), it has also been acquiring exclusive licensing deals with various media providers. One such deal brought the entire Pokemon series to Netflix. At the moment, The Indigo League and The Unova Saga as well as the Reshiram and Zekrom movies are the only Pokemon-related stuff they have so far but those ALONE will easily take a few weeks to go through. The rest are set to be added over the coming months. Moving on, almost all of the Anime I now own I saw for the first time on Netflix: Clannad, School Rumble, Ouran High School Host Club and Samurai Champloo to name a few. The small but respectable selection of Anime they have is a great place for folks to cut their teeth on Dubs without having to deal with the Ads on Hulu. Netflix also has Attack on Titan Subbed, which recently started airing on Toonami. That’s just to whet your appitite. These were the first places I bought Anime from starting about seven years ago with Xbox Live’s PC Client Zune. The first Anime I bought was Ah! My Goddess! Unsurprisingly, I went on to own both seasons, the movie and two thirds of the Manga volumes (LOL!). This brings up the all-important question of cost. It really depends on which route you go. If you wand Standard Definition (SD) it’s $2 per episode across the board and $3 for High Definition (HD) episodes. While yes, HD is better quality the files are also MUCH bigger and in the cases of the consoles they can really eat up your storage if you’re not careful. For movies, the cost is $8-$10 though with those that have HD versions available it’s $12 or $15. Both iTunes and Xbox Live/Zune allow you to buy whole seasons if you want. If a season is airing, you can buy a Season Pass which gets you all the episodes of a season in progress so far plus the rest of the episodes made available for download as early as an hour after they’ve aired on TV. You can also just buy all the episodes of a season at a flat rate after all the episodes have aired. I reccommend one or both personally in regards to Anime. Most Anime seasons are 12 to 13 or 24 to 26 episodes long so…yeah. On average, Buying a whole season on average runs between $18 to $32 on both Xbox Live/Zune and iTunes (the Playstation Network doesn’t currently offer whole season purchases). I wouldn’t pay more than $30 personally for a digital copy of an Anime season or series. The most I paid was $24 each for both seasons of Spice & Wolf, Ah! My Goddess!, and Rosario + Vampire as well as Shuffle! (I bought the DVD set last year at Anime Boston) which I bought on Xbox Live three years ago. Each episode (Standard Definition) was $2 so more often than not, I got a real good deal on a season package. I paid $24 for the Shuffle DVD set in case you’re wondering. For starters, once you buy anything from iTunes you can download it on all of your devices right away. Cross-buy and cross-download is also possible so for example if you buy Wolf Children on your PS3, you can download it to your Vita or PSP at no extra cost. Don’t wanna wait for it to download? You can stream it while it’s downloading in the case of Xbox Live/Zune and iTunes. In all three cases, you can que multiple downloads simultaneously. Of course, the smart way to distribute your stuff after you’ve bought and downloaded it to your PC/PS3 is to use a Sync cable so you can get it on Portable device in seconds and not minutes or hours. Whew…now we’ree getting to the third and final layer. In case it isn’t obvious: I am only providing LEGAL OPTIONS to get your Anime. Of course, there are illegal means but if you wanted to go that route, you probably wouldn’t have read this much (LOL). Support your favorite anime and BUY it! That said, the final layer is of course DVD and/or Blu-Ray. While yes, Digital Purchases are the future there’s nothing wrong with wanting to own a physical copy of your favorite anime and anime movies. I have 14 Anime DVD and Blu-Ray sets (I count multiple seasons as part of a set personally) and 6 Anime movies myself so…yeah. I got most of my Box Sets during Anime Boston and have actually made it a tradition to buy two Anime Box sets at Anime Boston. For example I got Ouran High School Host Club and Fate/ZERO this year and Samurai Champloo and Shuffle! last year. You really can’t go wrong when you buy your Anime on DVD/Blu-Ray: No DRM, no internet connection, no monthly fees, no ads, nothing but the Anime. The best part is you can decide if you want to watch it with the English Audio (default setting) or the Japanese Audio. With the other layers you’re locked into one or the other. As for the price, that depends on where you look and how rare the Anime you’re looking to buy is. For example, Code Geass Season 1 goes for $49 while Season 2 costs $72. Persona 4 Blu-Ray is about $27 for each season (they split it in half for the home release presumably to bring the price down and double profits at the same time). Samurai Champloo (complete series) goes for $28 on DVD and $30 on Blu Ray. It originally aired in Japan from 2008 to 2009. The first episode aired on Toonami this past weekend though interestingly it’s been available on Netflix for some time. 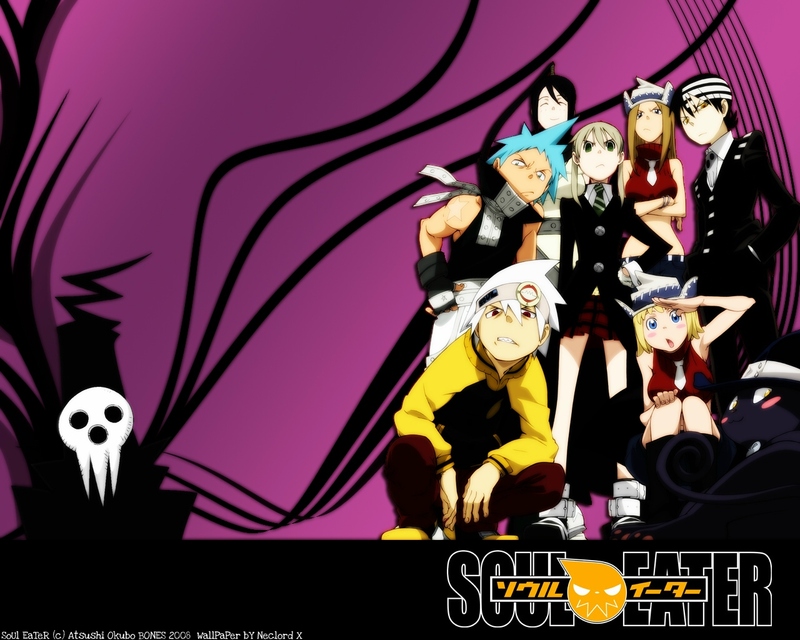 The series is 51 Episodes long (22 episodes more than FMA:B) so you’ll get a full year of Soul Eater assuming the ratings are good and they don’t re-air reruns (Aside from Bleach and FMA:B they’ve been doing a great job not doing reruns). If you have Netflix obviously you have a choice as to how you want to watch it. You can either watch an episode a week or do what I do and just watch the whole series in full. I watched all of Samurai 7 on Netflix before it finished airing on Toonami and still watched it when it aired. Funimation Tweeted over the weekend on Toonami’s twitter page. I can only hope this is a tease for more shows coming to the US. That would mean new Anime coming to Netflix, which it badly needs. For those interested in watching both version are Dubbed but the Netflix version is uncut. I just finished rewatching the first Episode on Netflix and noticed a few extra scenes I didn’t see in the aired version. Nothing noteworthy but the aired version was shortened to fit in commercials.